The name of the city is supposed to have come from the still indigenous alder (‘éger’ in Hungarian) growing on the banks of the river. This theory is affirmed by the fact that its German name means alder thicket as well. The episcopate was founded in 1004 by Stephen I. Its medieval history is not recorded in any written form, since the archives of the chapter fell prey to the damages caused by the Mongols during the Tartar Invasion in the 13th century. 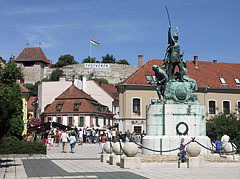 The prime of Eger’s life was in the Middle Ages, during the reign of Matthias Corvinus. At that time humanist bishops were able to spend an incredible amount of money on the development of their residence and of course on luxury. This heyday was succeeded by the arrival of the Turks, during which Eger built up a reputation of heroism and commitment. In the autumn of 1552 a Turkish army of fourty or fifty thousand soldiers surrounded the castle being defended by only 2100 people, including women and children as well. István Dobó, the commander, along with the other defenders, swore to resist to the very last and never to surrender. The castle was under siege for forty days, after which the giant Turkish army, with their unsuccessful and futile attempts, gave up the fight and marched away. The historically correct details of the siege are recorded in the novel by Géza Gárdonyi, which was published in English under the title “Eclipse of the Crescent Moon”. It was only in 1596 that the Turks were able to invade the castle, when it was defended by mercenaries. Commander Nyáry yielded to the superior number of the invaders after a siege of six days. As a result of this Eger was under Turkish rule for 80 years and became the centre of the border district of the Turkish Empire. The Catholic churches were transformed into mosques, although they do not exist any more. The mementos of these times still exist in the minaret and the Turkish spas. The liberation from the Turkish rule in 1687 resulted in the re-settlement of several monastic orders. So again Eger became a significant religious centre and the orders launched great constructions shaping the present cityscape. However, it is true that this era did not have its effects only on the cityscape, but on cultural life and education as well. 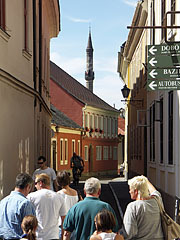 Eger has retained its characteristic of being a university city up to the present day. The buildings in the Baroque and the so called Zopf style were erected during the 18th century. 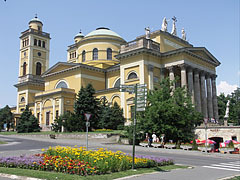 These included the Archbishop’s Palace, the Cathedral, the Lyceum (the present Eszterházy Károly College), the county hall and a number of churches. Moreover, the former mosques were converted into Christian churches as well. 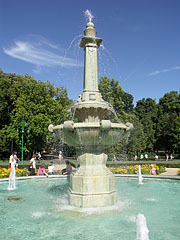 Eger took a great part in the war of independence of 1848-49. This was the time, when Lajos Kossuth, in the archbishop’s Garden, said the following famous words: “a hazaszeretetet itt nem hirdetni kell, hanem azt itt tanulni lehet”, which means that “patriotism is not to be sounded, but can be learnt here”. 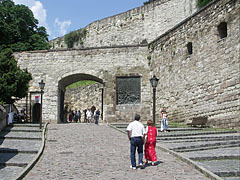 The lower gate of the castle can be approached from Dobó Square; here a narrow pass leads to the inner gate. In the middle of this pass there is the Gergely Bastion named after Gergely Bornemissza. 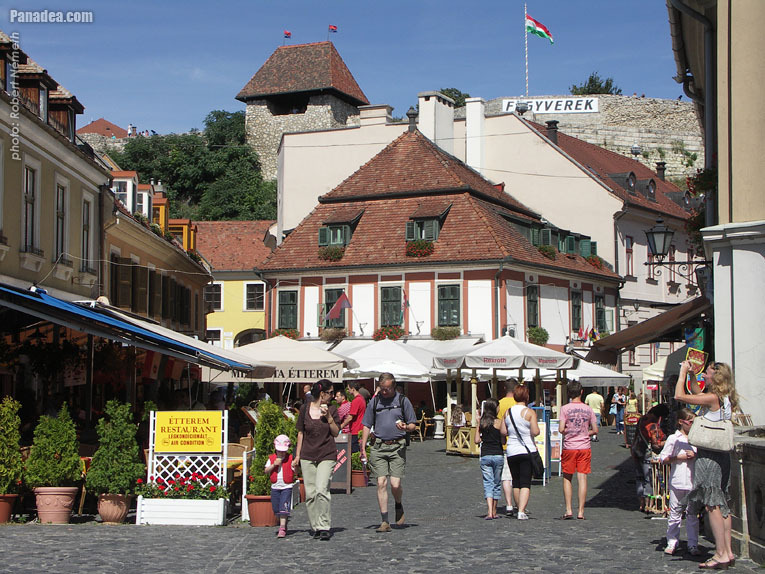 Not far from the Dobó Bastion lies the dungeon, where an exhibition “Execution, torture and humiliation in ancient Hungary” may be visited during the summer. 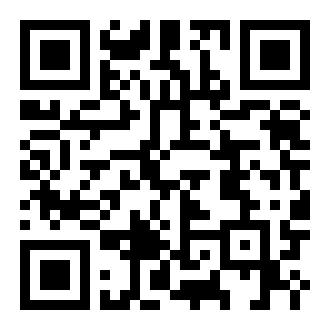 There is a wide range of events during the summer, which evoke the Turkish era. The use of costumes and displays of the period, such as the tournaments of border castles or the ceremony of the changing of the guard set the scene. The cellar system of the Archiepiscopacy was appointed one of the 21 miracles of the country. The Lapidarium and the exhibition on strategic arms, being placed in the Dungeon, can only be visited in the form of guided tours. 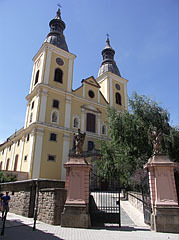 One of the largest cathedrals of Hungary is located here. It is 93 metres long, 18-metre wide dome and 54-metre high towers. But it is true that probably its marvellous inner ornamentation is worthy of more attention. 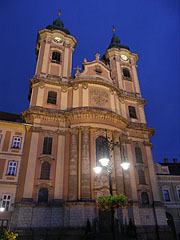 The Minorite Church is regarded as one of the most beautiful examples of Hungarian Baroque. 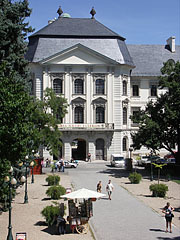 It is situated on Dobó Square. A glimpse of this most typical style of city building can be seen from the castle. It is true that Géza Gárdonyi became famous for his historical novel about the siege of Eger. He lived in the city during his early years, but returning in 1897 to live here till his death. He lived a strange, secluded life and worked the same way, having some swings from writing to music, painting or even cryptography. His memory is kept in the name of the Gárdonyi street and museum. Although during the Middle Ages only white wine was produced here, the one which gained world fame is the Bull’s Blood made of four different kinds of grapes. As the legend says the name derives from the time of the Turkish occupation. The soldiers of István Dobó drank this wine before the siege, which made the Turks think that it was nothing other than the blood of bulls, thus finding an acceptable reason for the heroism of the Hungarian soldiers.